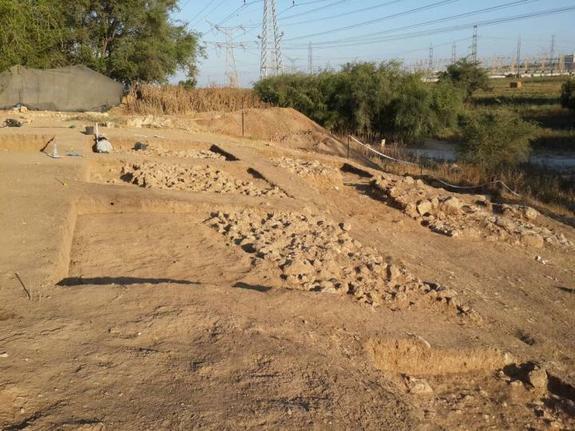 JERUSALEM — Archaeologists in Israel have announced the discovery of the gate to the biblical city of Gath, which was once the home of the notorious Philistine Goliath. Bar-Ilan University issued notice of the find on Monday, which was led by The Ackerman Family Bar-Ilan University Expedition to Gath and professor Aren Maeir. “Prof. Maeir, of the Martin (Szusz) Department of Land of Israel Studies and Archaeology, said that the city gate is among the largest ever found in Israel and is evidence of the status and influence of the city of Gath during this period,” the university noted. The gate was discovered in the Judean Foothills, specifically in Tel Zafit National Park, located in Tell es-Safi. The site has been the subject of excavation since 1899, but only in recent decades have archaeologists realized the magnitude of the artifacts buried in the area. In addition to the discovery of the gate, workers also uncovered a fortification wall, as well as other buildings, such as what is believed to be a temple and an iron production facility. Archaeologists state that Gath was the largest city in the area before it was destroyed by the King of Damascus in 830 BCE. Gath is known by Christians as being the home of Goliath, a Philistine nine-foot giant who challenged the people of Israel to a fight. While King Saul and the nation of Israel feared Goliath, and none dared to fight, the teenage boy David felt compelled to defeat the pagan giant, and killed him with only a slingshot and a stone. Gath is also cited in a number of other places in Scripture, being a place where David once fled to escape the wrath of Saul.